Unique Drums and Cymbals from a Jazz Legend! The Danny Gottlieb Stereo Drum Kit is part of the Drum Masters series where you can pick out a la carte kits and grooves that work with Sonic Reality’s Infinite Player plugin and build one of the most powerful virtual drum collections ever! This product is a multi-sampled DW® kit made to be played from Sonic Reality’s Infinite Player. It was recorded in a tight smaller sized drum room at a studio in South Florida. 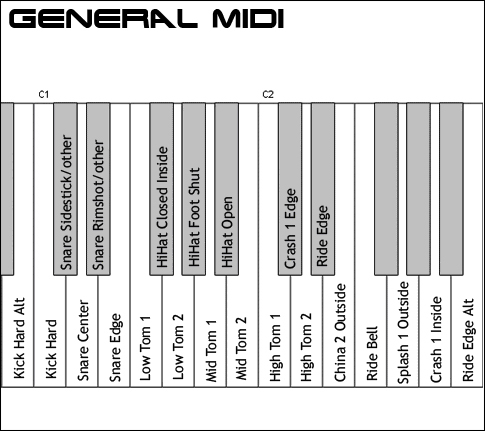 It features a variety of stick types such as wood stick, brushes and hot rods played with both snares on and snares off. 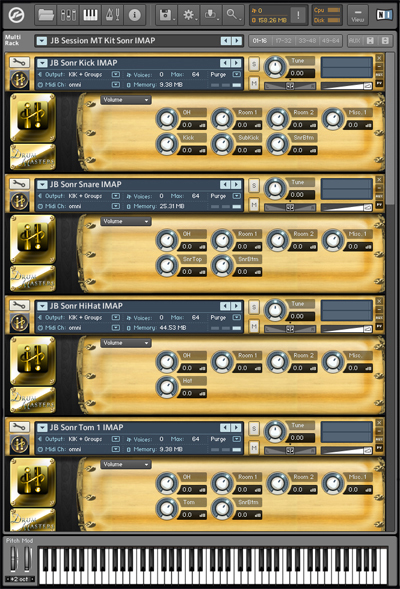 These 6 multi-sampled kit variations do not include direct tom mic channels as the tom sounds are achieved mainly from the overhead mics. 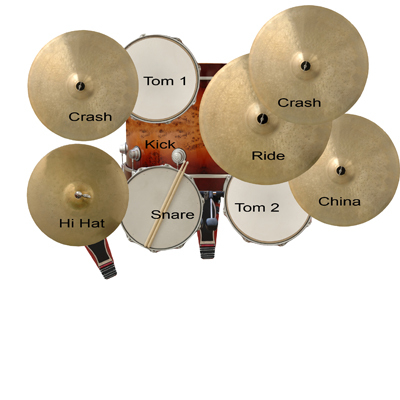 Even though Danny is known primarily for his Jazz drumming, this kit is suitable for a variety of different styles of music from pop to hip hop to rock. It is uniquely crisp and punchy with a raw analog grit to it. 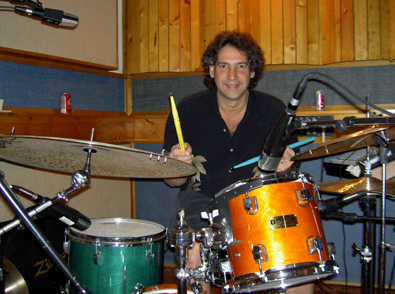 Danny Gottlieb is one of the most popular drummers in jazz and contemporary music. 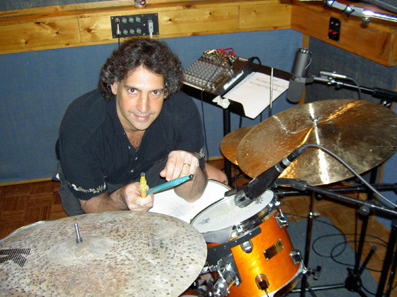 While best known as the drummer in the original Pat Metheny Group, Danny, during the past 25 years, has performed and recorded with some of the world's greatest musicians. He has also worked with numerous jazz and rock artists such as: Jeff Berlin Trio; Gary Burton Quartet; Stan Getz Quintet; Blues Brothers Band, Sting, Bobby McFerrin Trio; Eddie Gomez Group; Michael Franks Band; John McLaughlin's Mahavishnu Orchestra; Al DiMeola Project; Mike Stern Trio; Manhattan Jazz Quintet; Manhattan Jazz Orchestra: GRP Big Band; Gary Sinise’s Lt Dan Band; Joe Beck Trio; Big Band; NDR Big Band; Randy Brecker Quartet; Booker T and the MG's; Pete Levin Trio and many more. Dave Kerzner of Sonic Reality about Danny Gottlieb: "Danny is one of the nicest people I ve ever met. His enthusiasm and energy is endless. Originally we were intending mainly to do a cymbal library focused on multi-sampled instruments as opposed to loops but found that in the studio Danny could not stop himself from playing hundreds of tasteful grooves during that session. So, we sampled the rest of the kit that was used for those grooves and put together this Drum Masters title. It's really a precursor to what's to come from years of work we ve been doing since then with Danny, sampling his rare instruments and capturing his unique style of playing..."
In 2004 Danny met Dave Kerzner through mutual friend, New York producer Stephen Dewire. Since then they have collaborated on some of the most extensive sampling of rare cymbals ever including the ride cymbal Joe Morello used on Dave Brubeck's "Take Five", vintage cymbals from Jazz legends Mel Lewis and Don Lamond plus one of a kind prototype cymbals that Danny has collected over the years and more. Some of these cymbals are featured in Danny's Drum Masters kits and grooves but you can also expect much more to be released from Danny and Sonic Reality soon! DW Snare Drum: 14" x 5.5"
DW 2 Rack Toms: (10" x 9") and 12" x 10"
DW Floor Tom: 14" x 12"
Paiste Crash Cymbals: 16" and 18"